Not only has hair long been regarded as a woman’s crowning glory, it is also an important aspect of men’s looks. Healthy, beautiful hair is not only important in terms of appearance – it is also a telling sign of a healthy, balanced psyche. However, external and internal factors are equally likely to disrupt hair growth and the balance of hair follicles. The consequences of this are thinning hair or, in extreme cases, loss of hair. 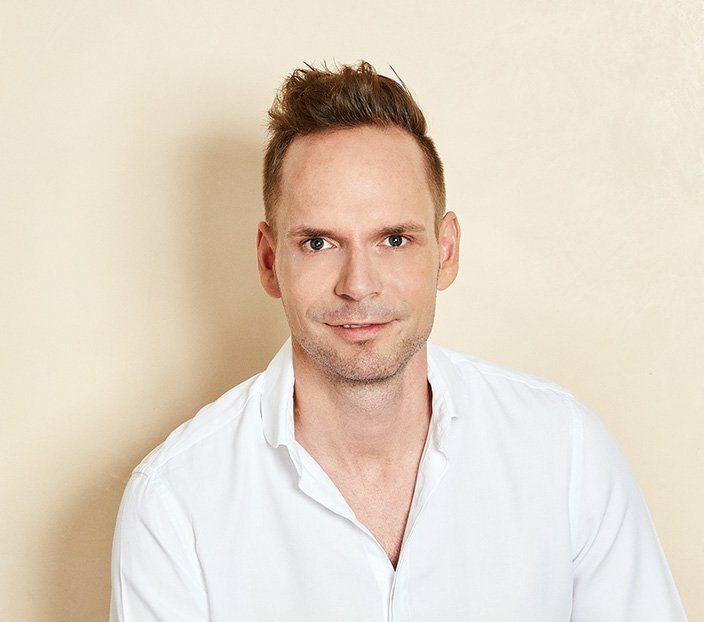 Our hair experts at HAARZENTRUM AN DER OPER, one of the top addresses for hair surgery in Germany, offer you a broad range of successful surgical and non-surgical treatments against hair loss as well as to generally strengthen the scalp as a healthy basis for visibly strong and vibrant hair. Situated in the heart of Munich not far from Marienplatz, this special practice is next to the renowned HAUT- UND LASERZENTRUM AN DER OPER, the joint practice of Dr Stefan Duve, Dr Christian Merkel, Dr Wolfgang Niederdorfer and Dr Hans-Peter Schoppelrey. A detailed case history of your current living circumstances, a blood sample and computer-aided hair analysis is carried out by our experts before any treatment to carefully examine the underlying cause of the hair loss. You can expect the very best aesthetic results always based on the latest medical knowledge. The HAARZENTRUM AN DER OPER in Munich is also the only partner practice in Germany to exclusively offer the highly effective Direct Hair Implantation method, DHI for short. The practice’s team of experts attends national and international congresses several times a year and therefore guarantees you treatment with the most innovative methods and latest technical equipment from leading medical product manufacturers. In addition to a large FAQ area, we of course always offer personal advice. Through years of experience, continuous training and a well-rehearsed team, we can look back on a large number of successful treatments and satisfied patients. We only use certified methods and equipment for our treatments in order to be able to offer the best possible quality and safety. We keep up with the times – and always use the latest and best technology, such as the excellent DHI procedure for hair transplantation. Then make an appointment for a non-binding consultation with our specialists. Do you have any questions or would you like to book a non-binding appointment? Subscribe to our newsletter and receive interesting news about hair transplants. I have taken note of the data protection declaration. I agree that my data will be electronically transmitted and stored for the purpose of sending the newsletter. I can revoke this consent to the use of my data for advertising purposes at any time. Would you like to tell us something? You would like to talk to us at a certain time? No problem! We will call you back free of charge. When do you want the callback?